Join Us – London Sings! If you are interested in joining London Sings!, you are welcome to come along to one of our Monday evening rehearsals. We do not charge for the first couple of rehearsals, while you are making your mind up about joining. New members can join at any time of the year; we rehearse year round. Membership of London Sings! is £45 per quarter or £15 per month. We have concessionary rates for students, unemployed members and senior citizens. We ask members to pay by standing order, as this eases administration. If you are a UK taxpayer, we also ask that you complete a Gift Aid form so that we may reclaim the tax on your subscription. Members are able to take part at our performances and are encouraged to take an active part in the organization of the group by joining the committee. 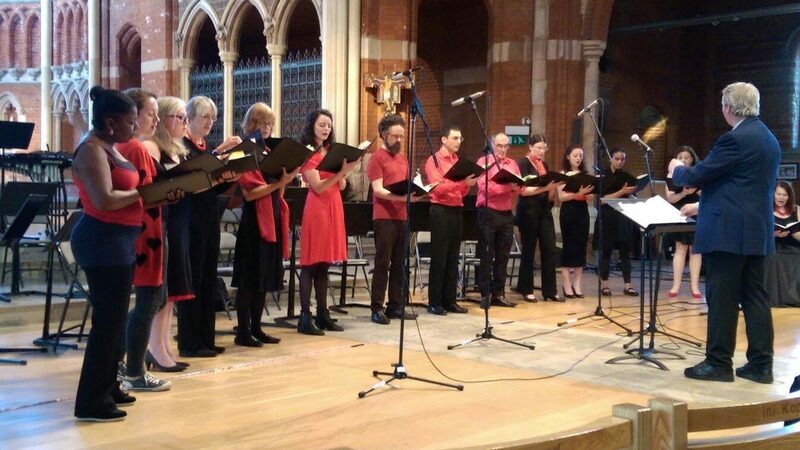 If you would like to talk to someone about the choir before coming along to a rehearsal, please call Lesley on 07785 905355 or send her an email at chair@londonsings.org.uk.